The definition of raw honey has not been nationally established so the average person needs to look at the facts and develop their own. 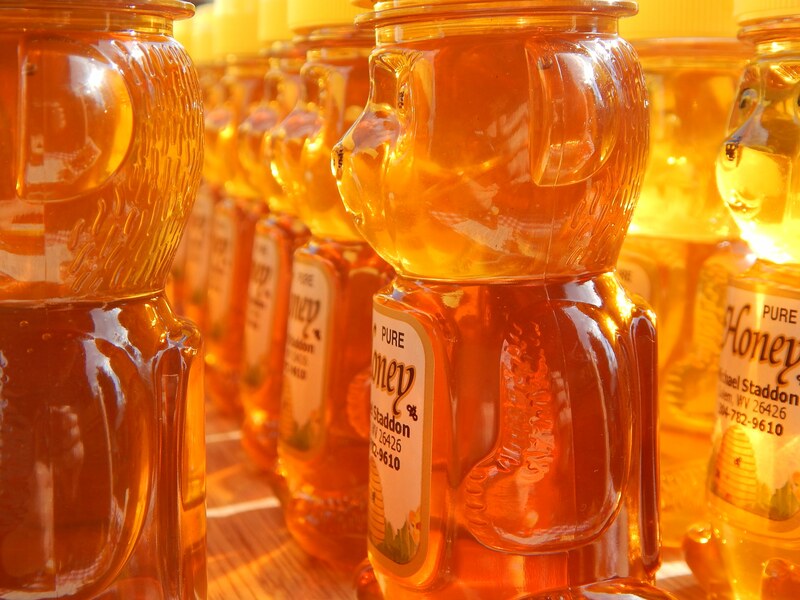 In commercial processing honey is typically “flash-heated” to around 160 degrees F which has been shown to reduce the quality of enzymes in honey (Ropa, 2010) and result in an average lowering of antimicrobial properties (Chen, Campbell, Blair, Carter, 2012). What about lower temperatures? What can be called raw? In the “raw honey” crowd you will get answers ranging from “not above 95” (Honey Traveler) to “not above 120” (Nature Nate’s) as the “definition” of “raw honey”. 120 seems to be the higher upper limit. The state of Utah says 118. The best answer I can give is to look at the hive enviroment for an example of what is ideal. Honey bees must thermoregulate the brood nest at 90 to 96 degrees F while brood is present. However, honey is stored remotely from the brood nest and I would not be surprised at all if temperatures there are allowed to rise a little higher. I would say 100 degrees F is fine. Some say you know it is raw if you buy it in the comb. Beeswax melts at 144 degrees F, so it might be possible to sell comb honey that has been heated to 140 degrees! Beeswax starts getting soft at about 120 degrees. In a beehive, one pound of beeswax is holding 22 pounds of honey, so getting soft is dangerous! Here at Honey Glen our practice is to extract honey in a warm room. When the air is very warm, it helps everything go faster. I do not apply heat to honey itself in any way. If it turns to sugar I sell it that way and explain that our honey is raw by the strictest standards and that crystalized honey actually has its advantages by being just as tasty and less messy. The customer can always liquify it if he or she pleases. If honey starts to ferment, it can be saved by heating and skimming off the foam, then just used as “cooking honey”. My favorite question is “Why heat it?” For filtering? There is a difference between filtering and straining, and you don’t need any heat for straining. I like removing wax, grit, and bee parts from my honey – but it is very important to retain the pollen. This year our honey passed through a 200 micron strainer easily at room temperature – a size that theoretically should allow 3 or 4 large pollen grans to slide through side by side. So there should be no reason to warm the honey above normal summertime or in-hive temperatures for normal straining. If honey must be warmed to pass through a filter, it might be removing the pollen. Get to know the beekeeper. Anyone selling large quantities in stores all over the country is probably going to have to do something to delay crystalization so that it looks attractive on the shelf for a long time. So it would make me a little suspicious if such honey claimed to be raw and unfiltered, unless it is produced locally. Before I trust it I’ll need to know the temperature and type of strainer they use, and see a pollen analysis of a random sample of their honey by Vaughn Bryant at Texas A&M University. There is some misinformation out there about how to tell if honey is raw or not by whether or not it is crystalized (granulated) or by the look of the crystalized honey. Filtered honey will initially crystalize slower, but raw and heated honey will both crystalize. Some honey varietiess are extremely slow to crystalize even when never heated. Some natural honeys are dark, others are light, some form fine crystals or large crystals and it really does not depend on whether the honey was heated. (Link: Honey Crystalization.) “Creamed honey” – that beautiful creamy small-grain specialty honey – is typically, but not always, heated in the process. Get to know the beekeeper. I hope this helps you in making the best decisions regarding your honey purchases. As always, the best way to get the best product is to know a local beekeeper and know his harvesting methods. Impressive and attractive information here about the definition of raw honey. Your information is very useful and helpful for all. Thanks for sharing this information.